Lock in a great price for Avra – rated 8.1 by recent guests! Lovely place, fantastic view, clean room, very good bed, friendly staff, and the best cappuccino in town. Location is perfect. It is near the castle and the restaurants. The room was fully renovated. It was really clean! We liked everything about the property. Great location overlooking the sea and the city. Very nice restaurant at the hotel. Rooms are fully equiped, new and very clean. Stuff was very helpful and friendly. I highly recommend this hotel. This hotel has easily one of the best views in Parga. It is very clean and has nice rooms. The location is fantastic and very safe. Be prepared for a hike from the car because cars cannot get close to most of the hotels on the center of the city. 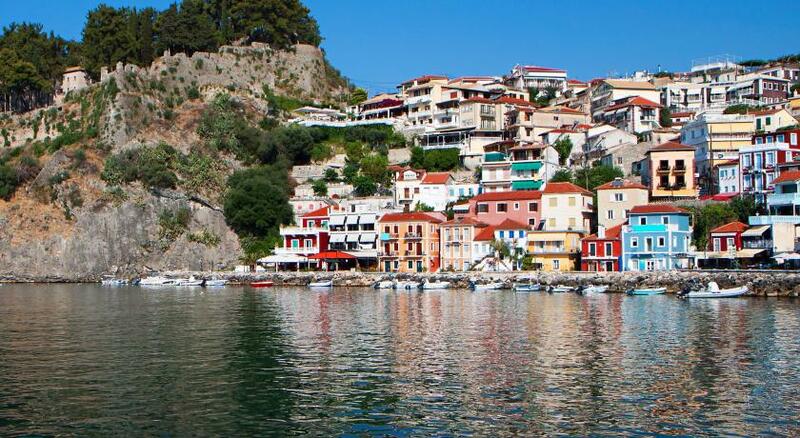 The hotel is situated on the main shopping street in Parga, the sea view is nice and close to Parga downtown. 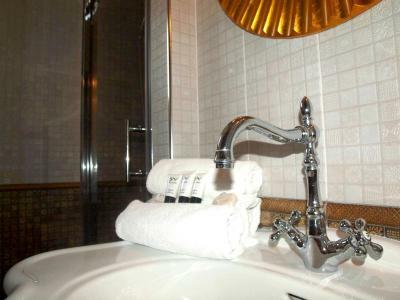 The hotel is clean, looks new, sheets are changed daily and the room is cleaned daily by the hotel personnel. Very clean, top location near to castle in the old town, excellent view. The rooms were not big but enough and comfortable. I highly recommend this place! Avra This rating is a reflection of how the property compares to the industry standard when it comes to price, facilities and services available. It's based on a self-evaluation by the property. Use this rating to help choose your stay! 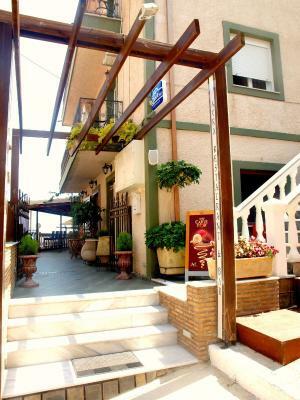 Avra hotel is located in the old town of Parga, just steps from the castle. 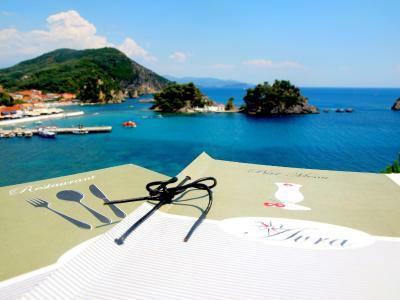 Its café bar offers spectacular views to Parga Bay. Hotel Avra rooms are equipped with air conditioning, mini fridge and TV. They all have private bathrooms and balconies with side views to Parga Bay. Most of the units offer free WiFi access. At Avra café bar guests can enjoy a refreshing cocktail, a quick snack, a breakfast or a meal. The hotel also offers free Wi-Fi in the public areas and there is a public parking at a nearby location. 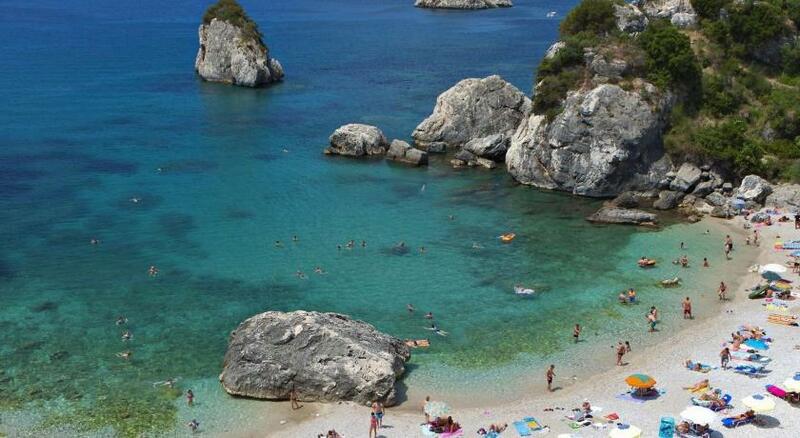 Valtos, Parga’s largest beach, lies within a 10-minute walk from Avra. The Venetian castle is only a 2-minute walk away, while the center of Parga lies within a 5-minute walk. When would you like to stay at Avra? 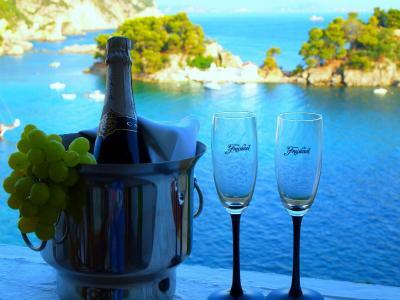 Offering a balcony with side views of the islet of Parga, this room is air conditioned and includes a TV. 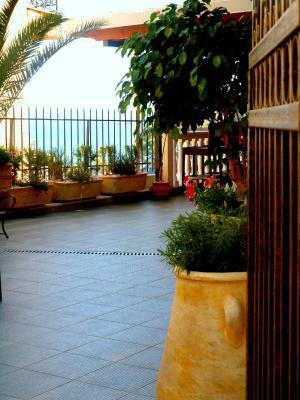 Offering a balcony with side views of Parga Bay, this room is air conditioned and includes a TV. This apartment features 2 bedrooms, a kitchen, a bathroom and a large veranda overlooking the harbor, the mountain, the town and the castle of Parga. Air conditioning and a TV. Offering partial views over the isle of Parga and the sea, this double room has a balcony, air conditioning and tile/marble floor. Offering partial view over the isle of Parga, this air-conditioned room is decorated with green wooden furnishings and comes with a fridge, a safe and a private bathroom with shower. House Rules Avra takes special requests – add in the next step! Avra accepts these cards and reserves the right to temporarily hold an amount prior to arrival. No car parking available, but this is due to the location of the hotel. Hotel owner is grumpy all the time, he seems not to remember his guests and he needs couple of days to do so, as in the first days we were asked who we were after we got accommodated in our room. One day we came by in the evening and wanted to have a bottle of wine but he told us that only for dinner we are NOT allowed to have the best view in the restaurant, otherwise we were urged to sit at a table which does not have the best sea view, even if only 2 tables out of 7 - 8 were occupied. Another day I asked for a knife to slice a melon and he asked us what would we need a knife :) I also lost my lighter and asked for a matchbox or a lighter and he told me to go to the supermarket :) I think is too bad that the owner does not know how to do proper business, otherwise the location and the hotel are very nice. Sometimes nice rooms are not enough to make you feel home. It's a pity that the owner of the hotel is very rude and not communicative. She didn't check us in properly, did not explain anything about the location or equipment. She told us that we'll need to change the room on our last night but did not explain why. After asking, she only told us that the room was not available. Yes those kind of things can happen but as a host you should at least apologise for the inconvenience! Also we didn't have hot water during the first night & when we reported this the next morning, she only said: ok we had to keep asking if she was gonna fix it or what was going on... very terrible communication.